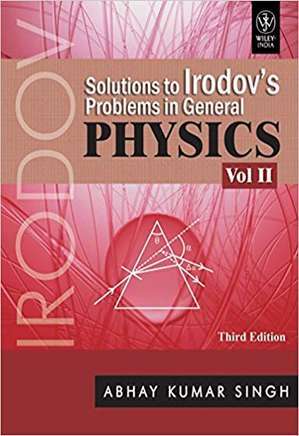 Irodov’s problems are recognized as the essential preparation for IIT-JEE because they test the concept grasp of students. They are thought to be the trickiest and the most comprehensive set of problems the world over. Some problems combine multiple concepts of physics, which makes them unique. Solutions to I.E. IRODOV’S problems in General Physics, available in two volumes, are meant for those dedicated physics students who face the challenge of solving numerical problems, particularly IIT-JEE aspirants. The two volumes provide complete solutions for each of the 1878 problems in I.E. IRODOV’s original question book, along with final answers. The second volume contains solutions related to the following topics: oscillations and waves, optics and atomic, nuclear physics.